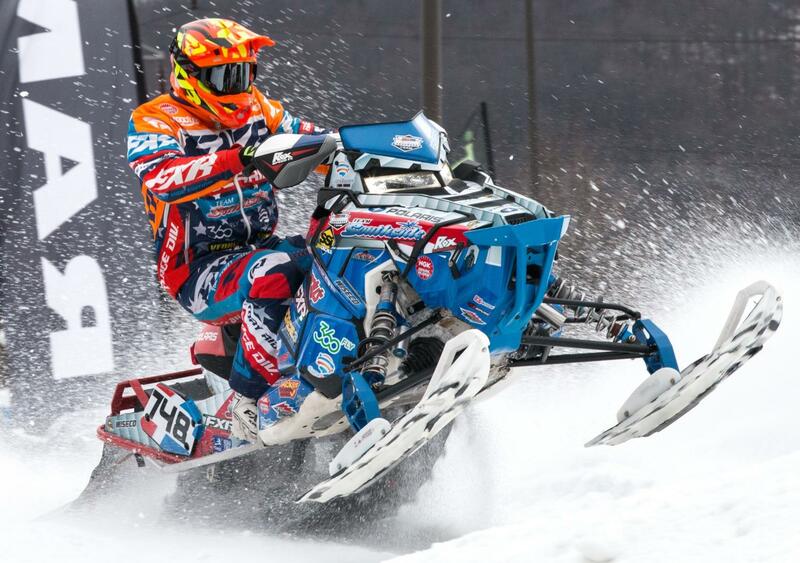 AMSOIL held the U.S. Air Force Snocross National in Salamanca, New York, this weekend. Qualifiers were held on Feb. 16, and the champions competed tonight to get their spot on the podium. The competition consisted of a series of small races. There were three rounds with a varying number of runs. The events – Sport, Pro Lite, Pro, Pro Women and Pro +30 – each had two rounds with three races in each round. The course has a few points that are critical to every driver’s run. The first is the corner directly after the starting line and winning what is called the Hole Shot. If they win the Hole Shot, they will have an advantage in staying ahead and winning the race. 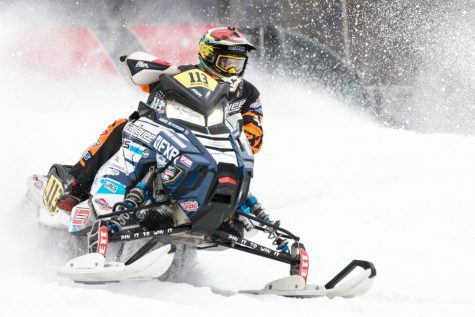 The other advantage was at the corner of the course at Seneca Allegany Resort & Casino which was the Ski-doo corner. This corner had an inner and outer track. The inner track was essential for many drivers because it allows them to gain the lead. The rhythm section showed to be an asset and a disadvantage for a lot of riders. When going over the bumpy terrain, they either fell off to the side or flew through the air, gaining a lead. When a rider went off the rhythm section, they were a lap behind and were not likely to win their race. In today’s championship, many of the riders who hit the inner corner first stayed in the lead the entire time. The other competitors were never far behind, though. Many finished only seconds after the first driver. The biggest race is the Pro Final where 15 riders line up to do 22 laps. The fight was between Kody Kamm and Tucker Hibbert. Kamm won the Hole Shot and kept the lead the whole way through the first 21 laps. On the last lap, Kamm went on the outside while Hibbert went on the inside of the track in the corner before the finish line. Kamm came out winning by about two seconds. The event had a number of sponsors this year including snowmobiles and snowbikes from Polaris, Ski-Doo, Arctic Cat, MFG and Lima. 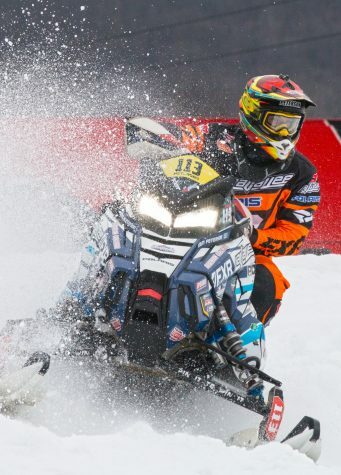 RAM, Sunoco, GoPro and Fox were also among the sponsors for the Snocross Championships. 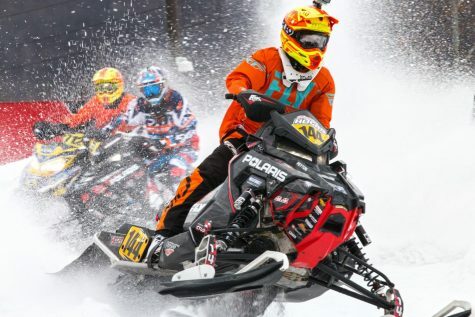 The next Snocross Championship will be held in Soaring Eagle Resort & Casino in Mt. Pleasant, Michigan, on Feb. 23 and Feb. 24. 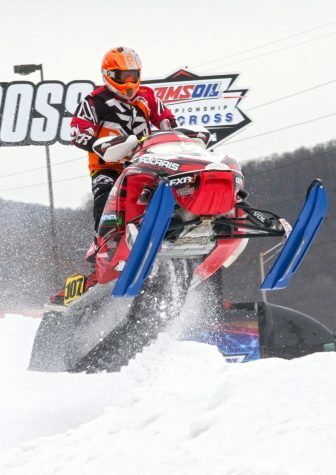 For more information on AMSOIL Snocross, visit their website.